Fans of The CW’s The Flash can expect to see #TeamFlash members stepping up to take on expanded roles while Barry Allen/The Flash (Grant Gustin) is out of the picture. 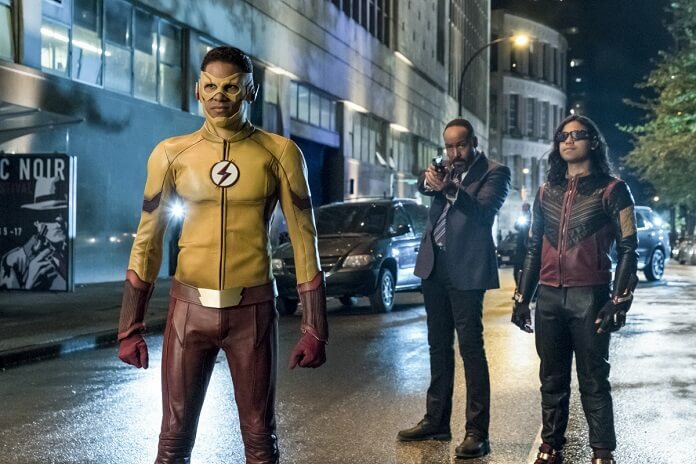 Keiynan Lonsdale’s Kid Flash has big shoes to fill, taking over as the lead speedster as the team continues to attempt to keep Central City safe. Sitting down for roundtable interviews at the San Diego Comic Con, Lonsdale talked about Kid Flash’s place in the team, Wally’s relationship with Iris, and the lighter tone of The Flash‘s fourth season. The Flash season four debuts on October 10, 2017. So, it’s up to him to save the world at this point? Since Kid Flash has been the speedster since Barry’s been gone, how does he react when Barry returns and takes his place back? Are you looking forward to a lighter tone this year? Which of Wally’s relationships are focused on early in the season? So, he’s okay with Iris being in charge of the group at this point?